Acacia Mining seeks to employ a Chief Grievance Officer based at North Mara Gold Mine in Tanzania. This role reports to the Chief Compliance Officer. 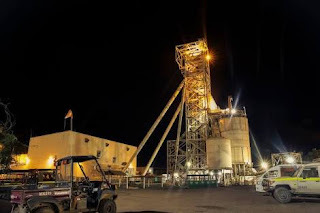 North Mara Gold Mine operates a Grievance Mechanism (“GM”) as part of its community relations programme. The GM is a way through which members of the community may express grievances to the Mine and seek remedies. Grievances may be brought to the GM on any issue, including potential impacts on human rights, the environment, rights to land and other property, and human and animal health and safety. The Grievance Team serves as secretariat to the GM, administers the GM and engages with grievants. The Grievance Team will be led by the Chief Grievance Officer. This is a permanent role, with the work roster being six weeks on and three weeks off. The role’s function and authority is set out in the GM Standard Operating Procedure document (which will be forwarded to candidates). · Publicise the GM and ensure intended users know about it and how to use it. · Ability to manage and process large amounts of information.